Ojai mattress was created as a modest entry to the Brentwood Home line of premium mattresses. 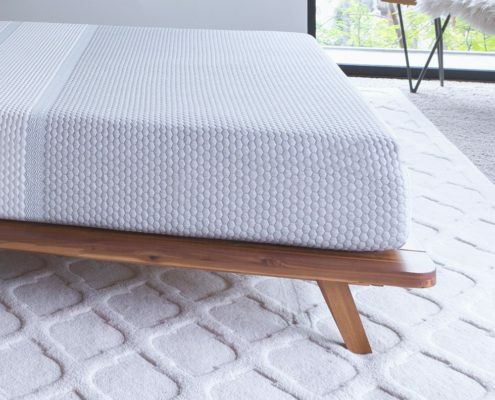 Like all of their products, the Ojai features modern sleep technologies for a comfortable, cool, and supportive surface using only the best eco-conscious materials. Brentwood is known for their attention to detail, and they’re proud to back it with a 25-year limited warranty. With a balanced medium feel, the Ojai is perfect for a guest room or for couples who want to meet in the middle. The Brentwood Home company specializes in high-quality home furniture and accessories than can be purchased easily and safely online and delivered without hassle. Based in Los Angeles, they use only the best materials in all of their products, including their special line of mattresses. Additionally, all their mattresses are all hand-crafted by local artisans and fabricators in the Los Angeles area. Brentwood Home believes in providing quality mattresses made with care, so they’ve been making their mattresses the same way (with top-notch materials and superior craftsmanship) for over thirty years. The Ojai Mattress was designed to be a more basic and affordable mattress in comparison to some of Brentwood Home’s more deluxe options, but even so it is of supremely high quality and provides an incredible combination of support and comfort. Bretnwood Home is one of my favorite brands. They have quality products. This is their cheapest mattress but still packs a punch in the quality and feel arena. See the full Ojai Mattress review below. Want a medium-firm feel. Because this mattress combines memory foam and individually pocketed coils, it isn’t overly soft like a memory foam mattress or too hard like some innerspring mattresses; instead it has a comfortable medium-firm feel. Generally speaking, on a scale of one to ten, this mattress is said by most people to rate at about a five or a five and half in terms of firmness. Additionally, this medium-firmness allows for easier movement and readjustment, unlike other mattresses where the memory foam sinks in around you and makes it difficult to move or change position. Want both strong support and comfort. This mattress incorporates heavy-duty coils that make this mattress sturdy and dependable. These coils also help to offer you firm support while you sleep. And at the same time, it also has three layers of specially designed memory foam that will provide soft comfort as well as conform to your body’s shape and help to relieve tension in problems areas like your back, hips, and joints. Want a mattress made of high-quality materials. Brentwood Home expends considerable effort to make sure that all the materials used in their products are the best available. They research all material extensively to make sure that they are both safe (without any harmful chemicals or toxins) and sustainable (eco-friendly and able to be used without harmfully depleting a resource). Want to stay cool. 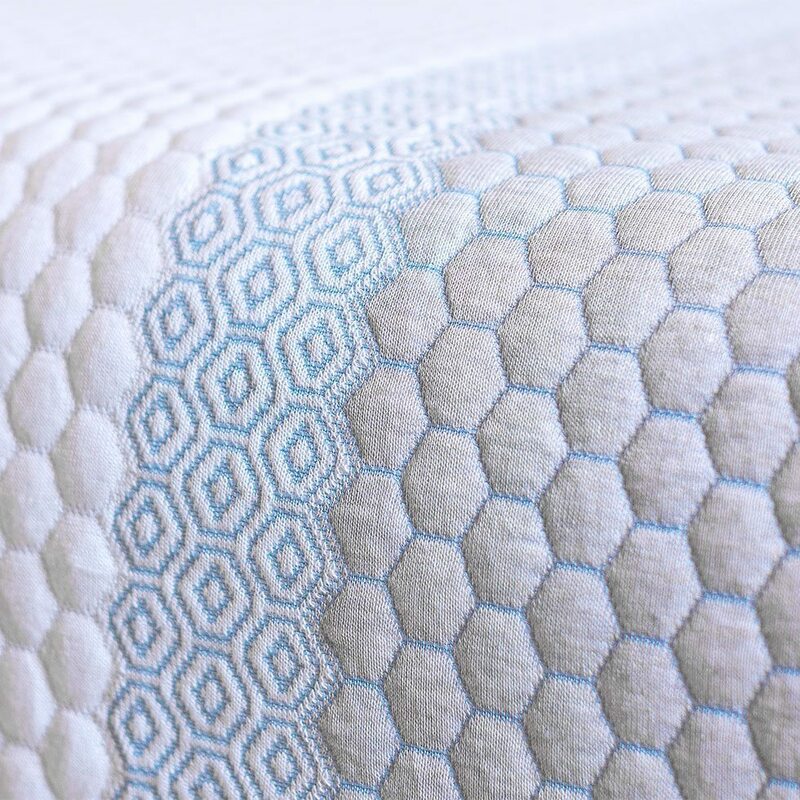 This mattress comes with a Tencel cover that covers a layer of wool that wicks away moisture, keeping you cool and comfortable while you sleep. There is also a layer of all-natural latex that is aerated and designed for dissipating excess heat. 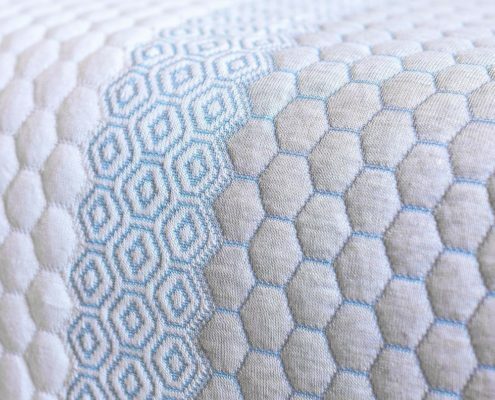 Additionally, the coils that comprise the bottom layer of the mattress are individually pocketed, allowing for greater ventilation and breathability within the mattress. Want a mattress for any sleep position. While best for those who sleeps on their backs, this mattress is a good choice no matter what position you sleep in (on your stomach, on your side, or on your back). Want a high-quality mattress for a reasonable price. 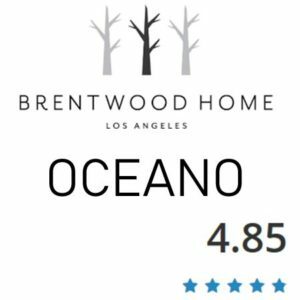 As Brentwood Home’s most basic mattress, the Ojai is by far the cheapest mattress they have to offer. But despite the lower price compared to the other more deluxe options, this mattress is still very high-quality, hand-crafted by professionals, and made of the best materials, giving it a great value for the price. Want a mattress that retains heat. While some people prefer thick memory foam mattresses that retain heat and keep them warm, this mattress is designed to stay cool and ventilated. As a result, the Ojai might not be a good choice if you want a mattress that will retain. Want a lightweight mattress. Because this mattress contains both sturdy coils and multiple layers of memory foam, it weighs more than a mattress made entirely of memory foam (pure memory foam mattresses tend to be more lightweight). As a result, this hybrid mattress can be hard to lift or move by yourself. When you purchase the Ojai mattress from Brentwood Home, you will have two options for delivery and set-up. The simplest method is to have it packaged and shipped to you entirely for free. If you choose this option, your new mattress will be delivered to you rolled up and compressed in a box (the standard packing method for mattresses that incorporate memory foam). You will then have to unpack it and set it up yourself (a process that might be best with another person to help you, as the mattress can be heavy and difficult to maneuver if you’re alone). Alternatively, Brentwood Home offers a helpful service where you can pay a fee and have a white glove delivery service bring your mattress to your home and set it up for you (and for an additional cost, they will even take away your old mattress and dispose of it for you). This service is very helpful if you’re short on time or don’t want to deal with the hassle of setting up the mattress on your own. Also, unlike some memory foam mattresses that come with offending fumes when you first unpack them (sometimes so strong that you cannot even use your mattress at all for the first few days after unpacking it), this unique hybrid mattress is made with high-quality eco-friendly materials and as such is almost entirely devoid of those unpleasant off-gassing aromas. This means that you should be able to start using your mattress almost immediately, without needing to worry about any unpleasant smells. As mentioned previously, this mattress contains both individually wrapped coils as well as multiple layers of memory foam. As a result, this mattress has a medium-firm feel, since it combines the support and solidity of an innerspring mattress with the comfort and softness of a memory foam mattress. On a scale of one to ten, most people consider this mattress to be solidly in the middle, rating at a five or a five and a half. And because of its medium firmness, this mattress is good if you want to be able to sleep comfortably in any position; whether you sleep on your stomach, back, or side, this mattress will offer you the support and comfort you need. Additionally, this mattress has the same soft but sturdy support throughout its entirety, so you can sleep comfortably across its entire surface, even on the edges. 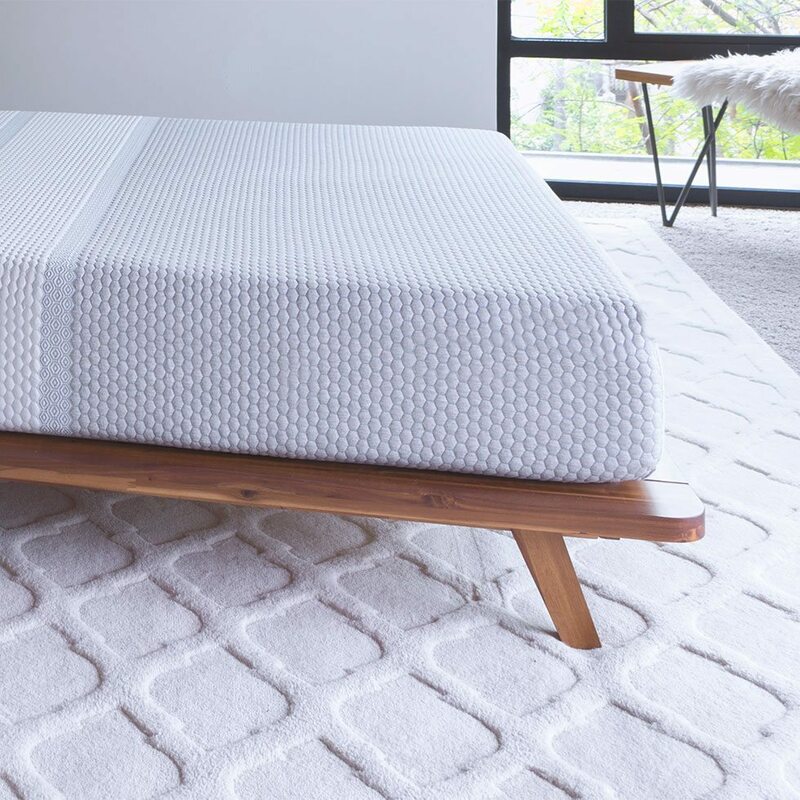 The Ojai mattress is a specially designed hand-crafted hybrid mattress, and as such has multiple layers composed of a variety of high-quality materials. The cover of this mattress is made of Tencel, an eco-friendly material made of plant-based materials; it is popular for being both very soft and incredibly breathable. There is also a layer of New Zealand wool, which helps to wick away moisture and regulate temperature. This specially designed cover is also hand-tufted, a quality that is hard to find in other competing mattress brands. The top layer of the Ojai mattress is made of Flo Foam, a CertiPUR-US certified type of memory foam with a four pound density. 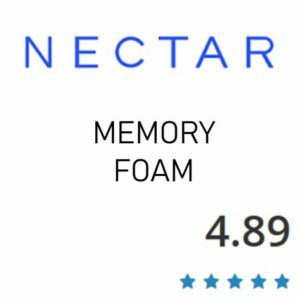 This memory foam is both comfortable and responsive, and will contour to the shape of your body to provide pressure relief and relaxation while you sleep. This memory foam is also easy to move on, unlike other types of memory foam that can pull you in and make changing positions difficult. The second layer of this mattress is comprised of gel memory foam, while assists in relieving pressure and tension from your body by helping to distribute your weight evenly. 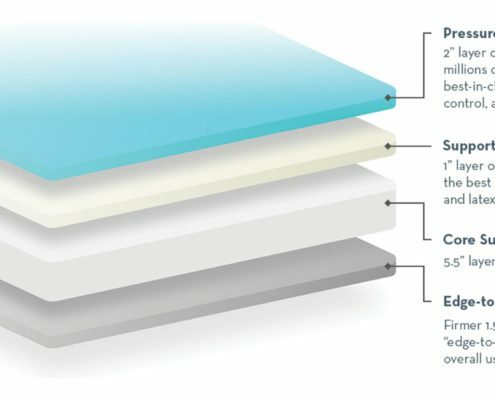 This type of memory foam is also part of what helps with this mattress’s great motion isolation, since vibrations aren’t typically transferred through gel memory foam. The third layer is slightly thinner and consists of latex, which adds responsiveness and a bit of bounce. The latex used in the Ojai mattress is made using the Dunlop process and is entirely natural and completely free of synthetic ingredients and toxins (like pesticides and herbicides). 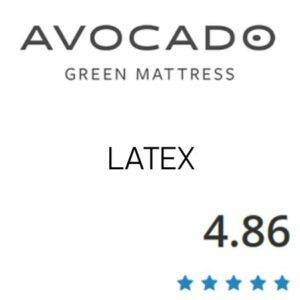 This layer of all-natural latex is also aerated to make it more breathable and dissipate heat, which helps to regulate temperature and keep the mattress cool. The fourth and final layer of the Ojai mattress is also the thickest, and contains the Quantum Edge Combi-Zone base coils that give the mattress is solidity, firmness, durability, and powerful support. These coils are positioned strategically in order to provide extra support to your hips, back, and shoulders while you rest, providing what is called “lumbar support”. This mattress also features even stronger coils at the edges of the mattress, to ensure that the mattress will not lose its shape or firmness and will remain firm and supportive in all areas. Additionally, all the coil in this mattress are individually wrapped, which allows them to respond on an individual basis to both your own unique body shape as well as your movements. This mattress also offers solid edge support. Brentwood Home designed this mattress to last a long time, so it’s been constructed to retain its shape and support for years. This is thanks to the edge retention coils used in the perimeter of the mattress; these coils are thicker gauge steel coils that provide tremendous solidity and durability. And thanks to the dense layers of foam and latex that rest above the coils, this mattress has a consistent feel and firmness throughout its entirety. This allows you to use all areas of it equally, even the edges, without needing to worry about it breaking down and losing its shape. This mattress is an excellent choice if you want an affordable high-quality mattress that also provides minimal motion transference (the phenomena where movement on one portion of the mattress affects other parts of the mattress; this usually occurs when one person in the bed shifts positions or gets up and that motion disturbs their partner). This mattress has individually pocketed spring coils at its core, and since these coils react and respond to each and every movement you make there is very little motion transference to be seen with this mattress. This is also helped by the multiple layers of memory foam, which is known for its motion isolation capabilities; memory foam is very good at absorbing vibrations and not allowing them to spread across the mattress and disturb other sleepers. And finally, this mattress also has a thick quilted cover that also helps to reduce vibrations and motion transference. Overall, the Ojai displays fantastic motion isolation, especially for a hybrid mattress. The Ojai from Brentwood Home is also a good choice if you want a mattress that will stay cool while you sleep. 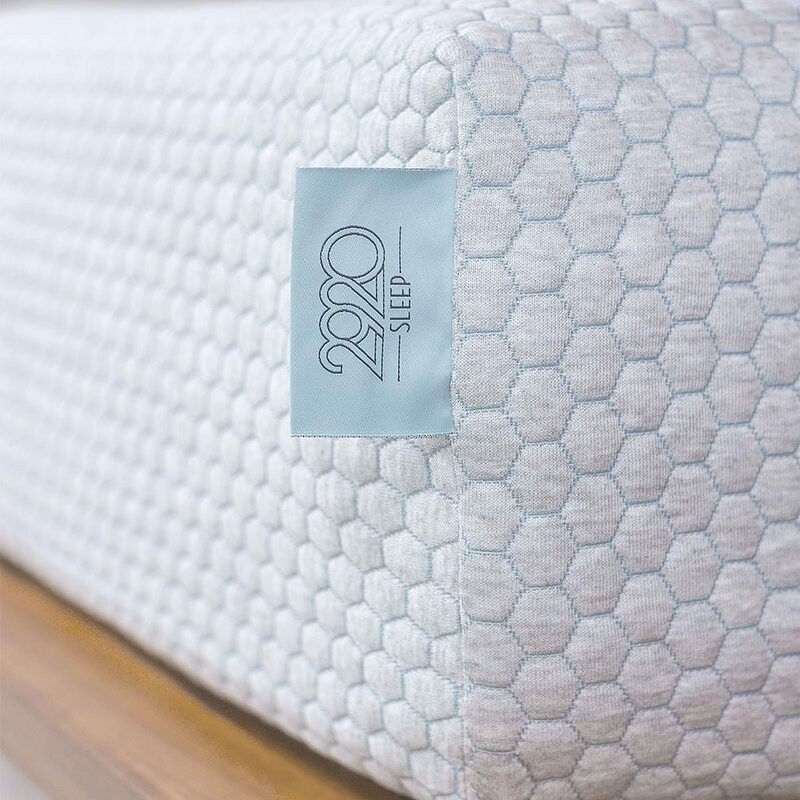 The individually wrapped coils that provide support also help to provide ventilation and air circulation throughout the mattress, allowing air to pass through the mattress easily and keep it at a cool and comfortable temperature. This coil system is part of what make this and other hybrid mattresses preferable to pure memory foam mattresses when it comes to staying cool at night. Mattresses made entirely from memory foam have a tendency to retain heat from your body while you sleep, which can lead to sweaty and uncomfortable nights. This mattress also has a Tencel cover with moisture-wicking wool that also contributes to keeping you cool and comfortable while resting. Additionally, the layer of latex within the mattress is aerated to help dissipate extra heat. Therefore, the Ojai mattress (which utilizes a combination of memory foam and coils) is a great choice for good temperature regulation. Although we didn’t film the Brentwood Home Ojai on a base you can be sure it will work fantastic on an adjustable base. The Brentwood Home company allows you to try out the Ojai mattress for a hundred and twenty days (essentially four months, give or take a couple days) to decide if you like it or not. Since it takes about thirty days (one month) to adjust to a new mattress, you’ll have the remaining ninety days (two months) to determine whether or not the mattress is suitable for you. If you do end up deciding that it’s not the right mattress for your needs or desires, arranging to have the mattress picked up and returned is easy and straightforward; all you need to do is contact Brentwood Home’s customer service department and they will arrange everything for you. 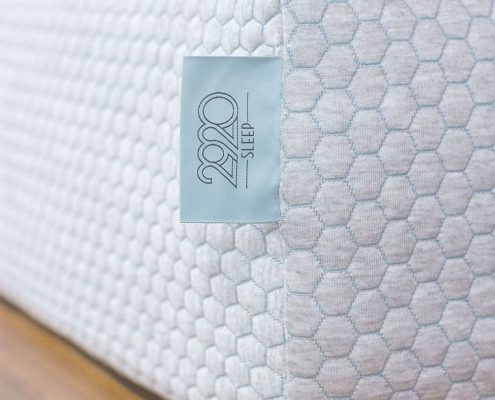 Additionally, the Ojai mattress comes with a twenty-five year warranty that will cover you in case you find any defects or issues in the mattress. 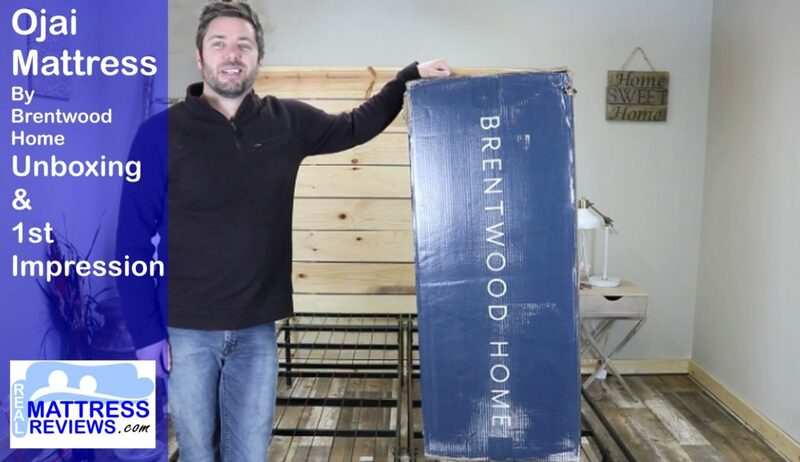 Brentwood Home designs and manufactures all their mattresses with only the best in materials and craftsmanship, and they are intended to last for years. Therefore, the Brentwood Home company is committed to making sure you get the most out of your mattress and will do their very best to help you if you experience any problems with the mattress. Also, if you purchase an Ojai mattress but decide later on that you don’t like it, you can return it at absolutely no cost to you and receive a full refund (as long as your original purchase of the mattress was within the last year). Brentwood Home will even send someone to your home to pick up the mattress, saving you the trouble of returning it yourself. Overall, this mattress is a great choice if you want a mattress that provides a medium-firm feel and offers a unique combination of firm support (from the specially designed and individually pocketed spring coils) and pressure-relieving comfort (from the multiple layers of memory foam that contour to your body and provide relief to problem areas like your back, hips, and joints). It’s also an excellent choice if you want a hybrid mattress that is of very high quality yet still affordable.